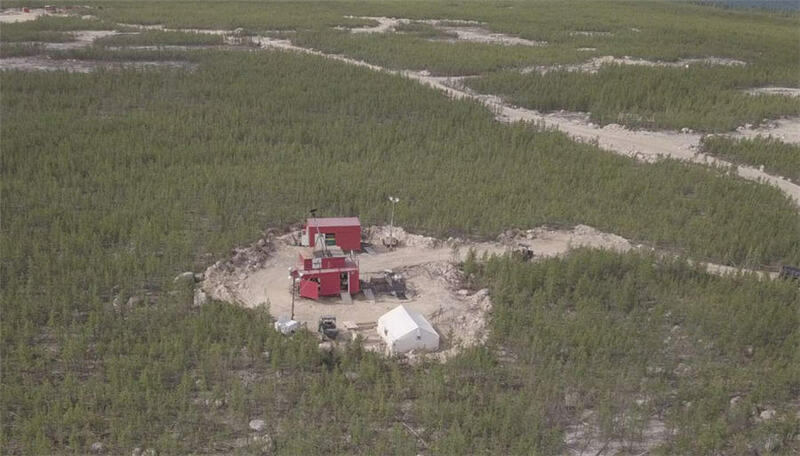 NexGen Energy is embarking on the largest drill program in its history at the Rook I project in the Athabasca Basin. 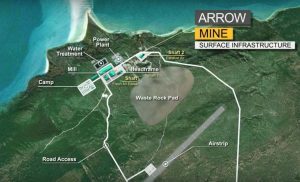 Approximately 125,000 metres is planned, the results from which will be used in a bankable feasibility study for the Arrow uranium deposit. Convert high grade indicated resources to measured. The high grade indicated resource is currently 2.9 million tonnes grading 4.03 uranium oxide for 256.6 million lb. of contained U3O8. About 71,000 metres of drilling will be done to upgrade resources. Convert inferred resources to the indicated category. The current inferred resource is 4.8 million tonnes grading 0.86% U3O8 and containing 91.7 million lb. of uranium oxide. About 54,000 metres will be drilled to accomplish this. A further 12,500 metres will be drilled for geotechnical and hydrogeological characterization in the area of potential surface infrastructure, underground development, and a tailings management facility. NexGen says that the basement hosted Arrow deposit will not require freezing of the surrounding rock during development and mining. The Arrow pre-feasibility study put the after fax net present value (8% discount) at $3.7 billion and the after tax internal rate of return at 56.8%. The initial capital cost would be $1.25 billion for a mine and 1,039 t/d processing plant.